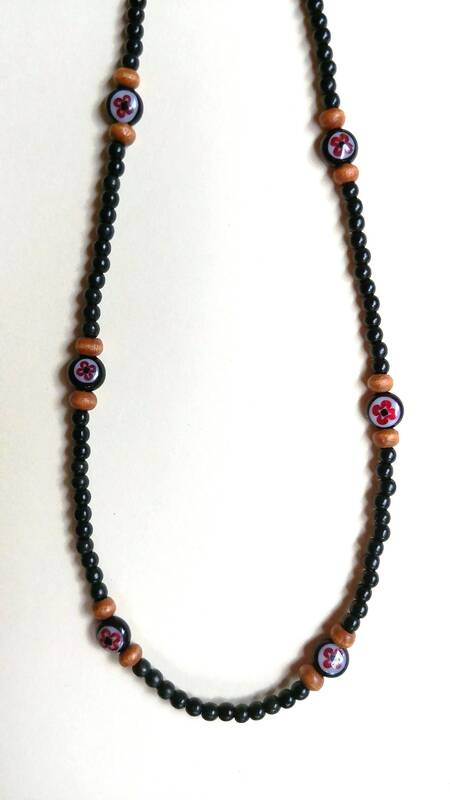 This black minimalist bead necklace is made using acrylic, glass and wood beads. It is that perfect "little something" that sits so nicely on the neck. It is a total of 18 inches long. 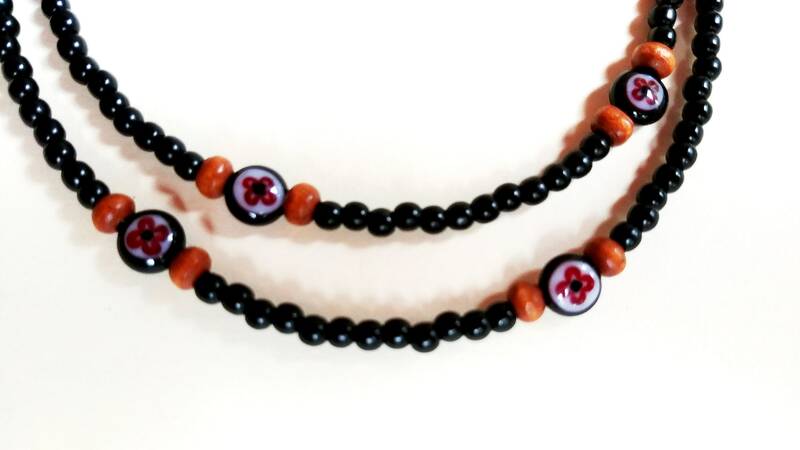 The smallest round black beads are a tiny 3mm in size. This necklace has a black toggle clasp, and is approximately 18 inches long. 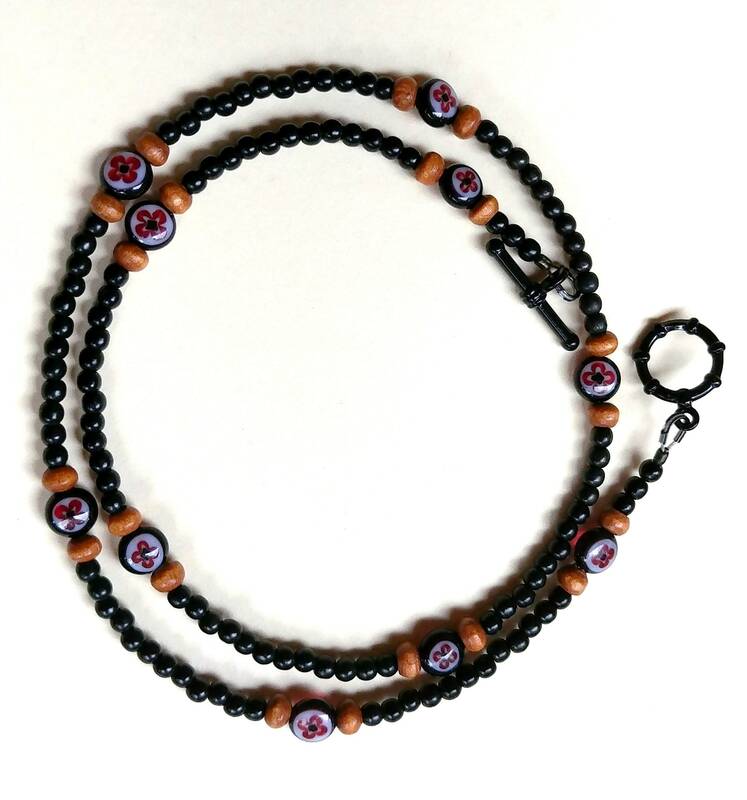 The black coin shaped beads are Millefiori Lampwork Glass Beads.